The life Kamila Sidiqi had known changed overnight when the Taliban seized control of the city of Kabul. After receiving a teaching degree during the civil war - a rare achievement for any Afghan woman - Kamila was subsequently banned from school and confined to her home. When her father and brother were forced to flee the city, Kamila became the sole breadwinner for her five siblings. Armed only with grit and determination, she picked up a needle and thread and created a thriving business of her own. Anne Corey is about to get schooled. An English professor in California, she's determined to score a position on the coveted tenure track at her college. All she's got to do is get a book deal, snag a promotion, and boom! She's in. But then Adam Martinez - her first love and ex-fiancé - shows up as the college's new president. 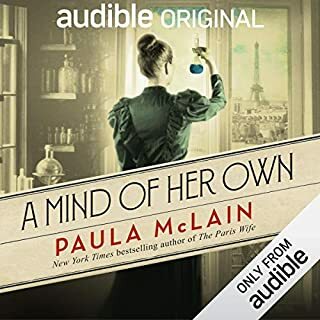 Funny, smart, and full of heart, this modern ode to Jane Austen's classic Persuasion explores what happens when we run into the demons of our past...and when they turn out not to be so bad, after all. Life is a work in progress, as ever-changing as a sandy shoreline along the beach. During the years Joan Anderson was a loving wife and supportive mother, she had slowly and unconsciously replaced her own dreams with the needs of her family. With her sons grown, however, she realized that the family no longer centered on the home she provided, and her relationship with her husband had become stagnant. Like many women in her situation, Joan realized that she had neglected to nurture herself and, worse, to envision fulfilling goals for her future. Free too be a woman of my own making. An investigative journalist uncovers a hidden custom that will transform your understanding of what it means to grow up as a girl. In Afghanistan, a culture ruled almost entirely by men, the birth of a son is cause for celebration and the arrival of a daughter is often mourned as misfortune. A bacha posh (literally translated from Dari as dressed up like a boy) is a third kind of child - a girl temporarily raised as a boy and presented as such to the outside world. Most Westerners working in Afghanistan spend their time tucked inside a military compound or embassy. Not Deborah Rodriguez. Here, she tells the story of the beauty school she founded in the middle of Kabul and of the vibrant women who were her students. When Rodriguez opened the Kabul Beauty School, she not only empowered her students with a new sense of autonomy but also made some of the closest friends of her life. Woven through the book are the stories of her students: the newlywed who must fake her virginity; the 12-year-old sold into marriage to pay her family's debts; and a woman who pursues her training despite her Taliban husband's constant beatings. They all bring their stories to the beauty school, where, along with Rodriguez herself, they learn the art of perms, friendship, and freedom. ©2007 Deborah Rodriguez-Turner (P)2007 Blackstone Audio Inc. I could have loved this story. 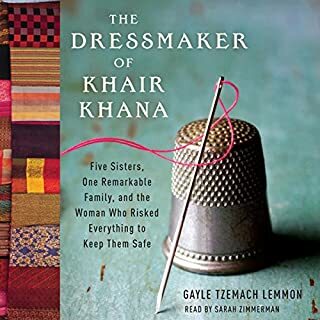 I am fascinated by Afghani culture and share the author's compassion for the women there, but I felt like she spent too much time boo-hooing over her own circumstances. She would be feeling homesick or frustrated and the Afghani women (who have bigger problems than hers, such as physical/emotional abuse in their marriages) would either ignore her silliness, or comfort her. The truth is, Debbie never went "behind the veil" as the title suggests. Sure, she wore traditional Afghani garb, but throughout the book, she insists on retaining her brash American ways, without taking much away from Afghani culture. 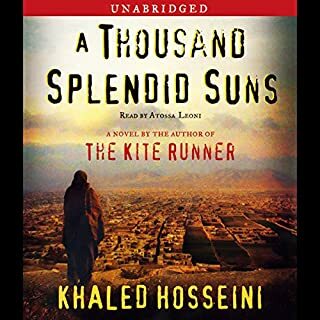 Most of the time I listened to this audiobook, I felt there was some major piece of it that was just missing; some common thread to tie together all the little "episodes" (that's how she structures it: one or two Afghani women, describe their problem, weep over it, and move on). Maybe I missed the point, but this wasn't what I was expecting. While I enjoyed listening to this book, I felt like I couldn't entirely trust the writer. I wasn't sure what her motives were for going to Kabul or for marrying an Afghani man (or for leaving half-grown children back in the states, for that matter). 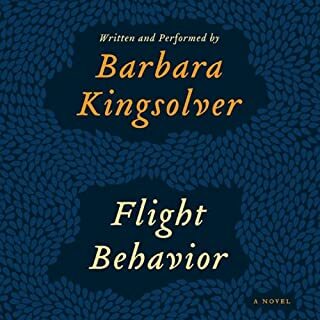 The writer's self-centred approach got in the way of the characters because each character was seen through a naive American lens that limited and flattened the residents of Kabul to stereotypical roles of warlords or former mujahadeen, victims of the Taliban ot helpless pawns in familial manoevering. Each episode she describes casts herself as the central American rescuer - facing up to kidnapping nasty neighbours, winning over unresponsive in-laws, saving the honour of not-so-virginal brides. Overall, it isn't a substantial book - rather like the light-hearted (or occasionally mean-spirited) gossip of beauty salons everywhere. I loved the descriptions of the Afghan women, their hardships and daily life. I also found the protagonist quite interesting, in a good-hearted but flaky way. She is obviously very kind and courageous, but she also seems to have poor planning skills, a reckless nature and little sense that her actions could put other women at risk, sometimes of death. There are many unanswered questions (why is Debbie so carefree about abandoning her sons for one) and except for friendships and language skills, Debbie doesn't seem to have learned much from her adventure. 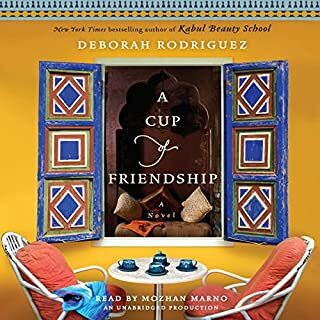 Still, the story moves quickly, some of the Afghan women are unforgettable, and it does seem that Debbie helped bring hope to a group of women who really needed it. an idea (start a beauty school) and the power that it's culmination has on the participants. Also, the reader is really excellent, just perfect for this kind of story. Usually I enjoy Robert B Parker, Vince Flynn and John Sandford for their heroes but it is refreshing to read about a real life female hero. A title usually reflects the main idea of a work - this ought to have been called "Debi's Adventures in Afghanistan" or "The Un-Quiet American." At least the author admits her lack of sensitivity to Afghan culture though most of her sojourn. 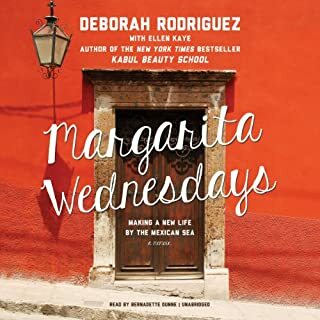 I would have liked to learn more about the NGO "Beauty Without Borders" and less of Debi's personal life, but it was her memoir so she gets to choose. As it is a memoir, we need to take her view of the action with a grain of salt, I think. I in no way want to excuse the brutality of the Afghan men she describes (and at least she shows us that American men can be brutes, too, and Christianity too can to be used to try to keep women in abusive situations) - but since she talks about the effects of post tramautic stress on the women, let's admit it affected the Afghan men too. The reader won't learn much about authentic Islam and might come away with the impression that most Afghans appreciated getting what little remained of their infrastruture destroyed in retaliation for 9/11. IF Osama had been hiding in Afghanistan, I'm sure Debi would have had more success in tracking him down on her way to Kabul than did all those bombs. If this is to be your first read about Afghanistan, better download more than this memoir. That said, this is an easy listen, and might appeal to some who don't like the darker novels or nonfiction on the subject. And good for Debi for doing more than I ever did to save the world! 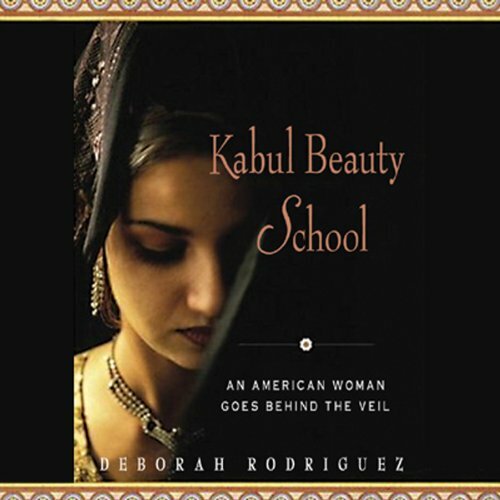 "Kabul Beauty School" was truly a beautiful book. After reading this, I just wanted to get out there and do something with purpose. I enjoyed many parts of this book, especially the insights into the Afghan culture. I didn't think the book was particularly well written though as segments seemed to be stuck in wherever more detail was needed. The flow was a little bumpy. All in all, the book made me extremely thankful I wasn't an Afghan woman. Our book club decided that there are better books that address the topic of Afghan women. I am interested in the culture of Afghanistan since we are at war in their country. This book provided a nice inside view of the people, particularly the women. I do recommend this book, however the author includes personal information about herself that I found uninteresting and boring. That was my reason for giving it 4* instead of 5. Another book on the same subject is The Bookseller of Kabul, which I liked more. I really enjoyed every bit of this story. It was great to learn more about the women who live, and learn to be stronger in such a conflicted country. The descriptive writing made me "see" these women and the environment they survive in. Also makes me want to find an organization the I can contribute to to help these women. Fascinating book. Would recommend to any woman living in the US. Absolutely could not put it down. Read in three days.